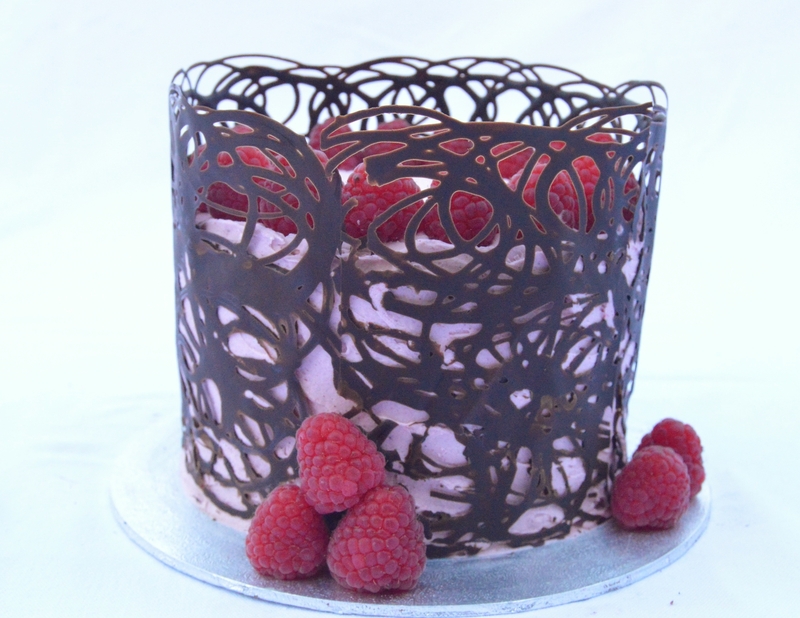 This is one of my favourite cakes in terms of flavour (luscious chocolate and sharp raspberry- wonderful). 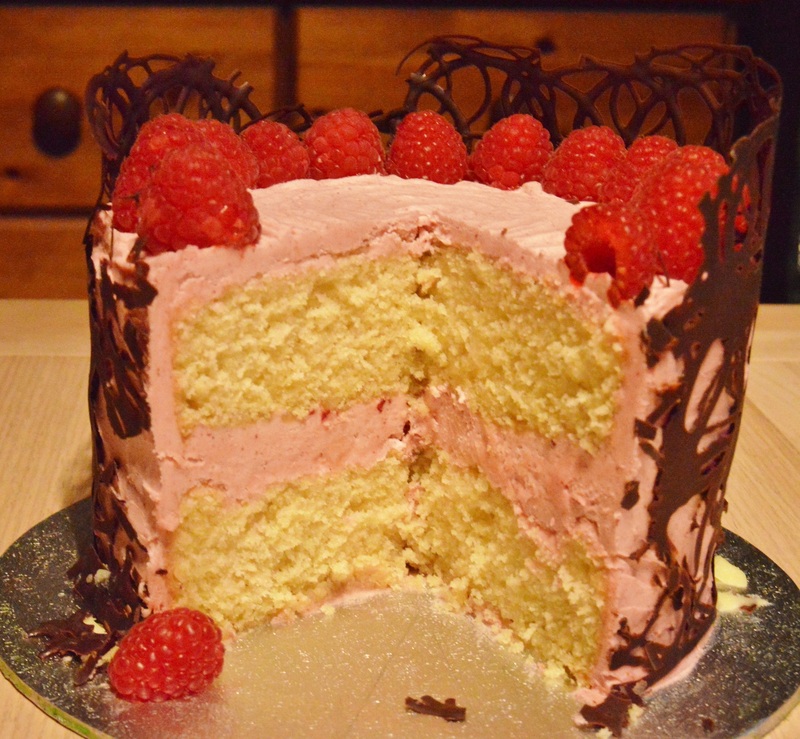 The cake is a Victoria Sandwich, flavoured with a little orange zest and filled with a very light, tangy raspberry buttercream. For this particular buttercream, I whisked together equal weights of soft unsalted butter to icing sugar for about 10 minutes; this ratio gives a very luxurious buttercream. 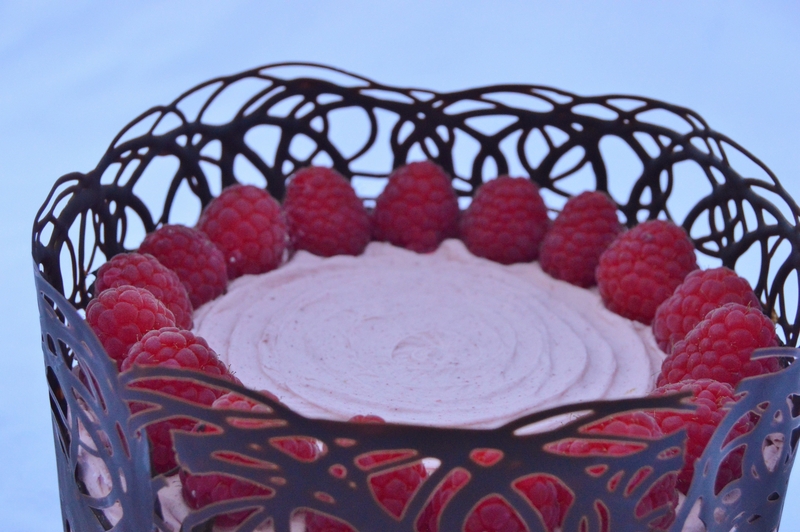 I then added raspberry puree and a little cooled, melted chocolate, whisking for a further 5 minutes until it was very light and mousse-like. I went for one of my several signature chocolate decorative flourishes: a lacey chocolate collar. Simple to do, and effective. Simply drizzle tempered chocolate over a strip of acetate (or a double thickness of greaseproof) cut to the circumference of the cake. Leave the chocolate until slightly less runny, and wrap the acetate against the buttercream filled and coated cake, gently patting the chocolate against it. Leave until the chocolate is set and peel off the acetate.